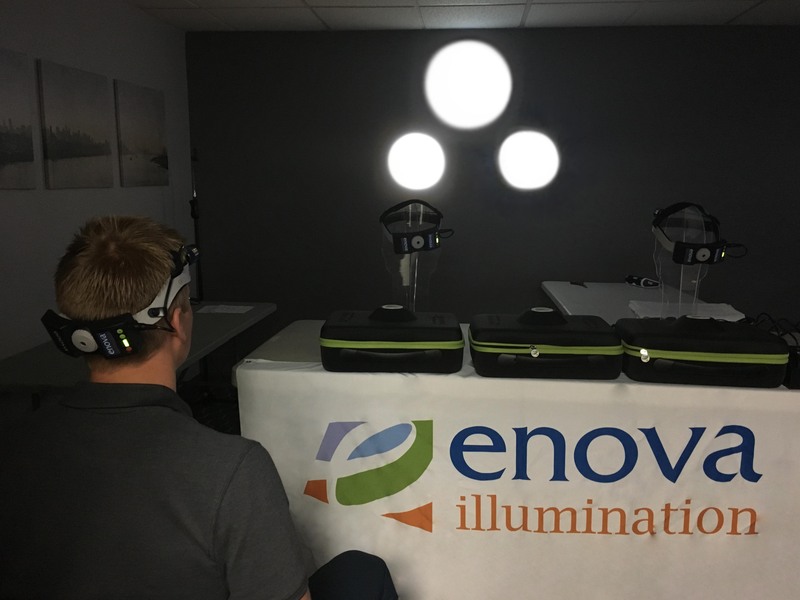 As flood waters start to recede from Hurricane Harvey, Enova Illumination of Minneapolis, MN sent a number of their Freestyle LED Surgical Headlights to help those without power at the hospitals. When Dr. Tyler Green of White Oak Dental in Conroe, TX reached out Enova about battery-powered LED lights so he could provide emergency services to his practice, Enova sent a number of their LED surgical lights (seen below). Dr. Green mentioned that many of the rural clinics and hospitals are having a hard time receiving goods due to the Houston airport being shut down. As he, and other centers, await supplies, he recommended that those looking to help support the relief efforts should send the necessities. “It may sound silly, but many are in need of socks, undergarments, dry goods, and water” said Dr. Green. One piece of insight that was astounding, is that there are many people coming in with lacerations from walking and wading through the flood waters. With power outages across the southern half of Texas, we see the need to help with your portable surgical lights. In a push to aid with search and rescue, he also mentioned that when crews were out searching homes, they had utilized flashlights. Dr. Green continued, “The problem was, when the search crews went out searching with flashlights, they had to set down the flashlight to look into houses or help people into the boats” which sparked an idea, send Enova‘s new FREEstyle headlights with a waterproof cover. The FREEstyle headlights are now on their way down to Texas, awaiting response from Dr. Green to see what other efforts can be taken to help those on the front lines of the relief. If you yourself, or if you know someone who needs assistance due to power outages and the need for portable lighting, especially in the hospitals please reach out to Enova and we would be more than happy to help as best we can! Previous PostPrevious Minnesota Local Rep!